Blood Sugar Support (formally known as Dia-Pro) contains a blend of all natural herbs, antioxidants and nutrients to help the body maintain stable blood sugar levels. Having stable blood sugar levels is an important factor in the maintenance of good health. 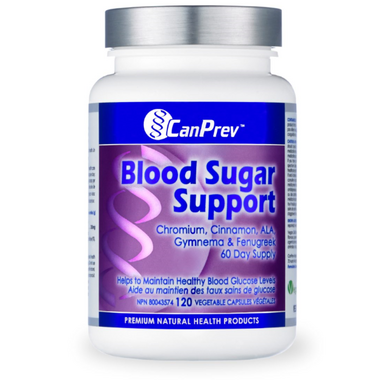 Blood Sugar Support contains cinnamon, alpha lipoic acid and chromium which have been shown to promote healthy glucose metabolism. The ingredients in Blood Sugar Support work together to help metabolize fats, proteins and carbohydrates thereby improving glucose metabolism. Oxidative stress can result from constantly elevated blood sugar levels therefore antioxidants are an important addition to the formula. Antioxidants can help to block free radical damage and may also contribute to the reduced risk of complications associated with chronically elevated blood sugar levels.